Women's Loafers: Flat Shoe Loafers for Women - Free Shipping! Rothy’s loafer flats complement any ensemble. Wear to the office, to after-work drinks, or to your next dinner date. Our loafer flats for women offer sleek, sturdy lines for a casual, yet sophisticated look. Cozy and stylish, women’s loafer flats are designed to take you from Point A to Point B with ease. Don’t sacrifice style for comfort. Rothy’s loafer flats are made with soft knit for a sock-like feel. 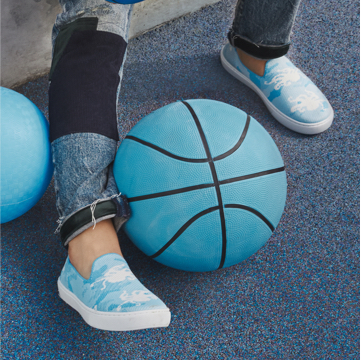 These shoes will quickly become your go-to for any occasion, whether you’re setting sail for an afternoon boat ride, attending a barbecue, or just running errands around town. Sustainable style is a reality with Rothy’s. 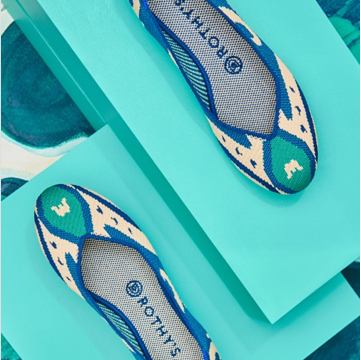 Rothy’s women’s loafers are crafted from recycled water bottles, making these truly innovative footwear. After hot-washing and sterilizing the water bottles, they are spun into a fiber, which is then woven into yarn. Our advanced 3D printing machines construct our seamless knit shoes with a process designed to significantly reduce waste. Your Rothy’s are good to wear straight out of the box—no break-in period required. You’ll find your Rothy’s provide a snug, cozy fit from Wear 1 to Wear 365. When your Rothy’s get dirty or need to be freshened up, care is simple. Toss your loafers into the washing machine and use cold water and gentle detergent on the delicate cycle. Never dry your Rothy’s in the dryer, as any type of heat will cause them to shrink and lose their shape.